Many parents may be hearing their kids talk more and more about hoverboards. Chances are, kids are seeing their friends at school glide around on a hoverboard and are anxious to try one for themselves. As a parent, you are thinking about this question: “Is hoverboard good for my child?” The short answer is “yes” and here is why. Hoverboards are also known as self-balancing scooters and are considered the newest and trendiest way to get around. Of course, these boards don’t actually hover, but instead, they roll the rider around in smooth, fluid motions that make the rider feel like they’re gliding on air. These boards have been popularized among young people through viral content on the Internet. Many online influencers can be seen riding hoverboards, and the trend has reached kids across the world. Many parents may feel reluctant to purchase a hoverboard for their child, but there are a few important reasons why a hoverboard for kids may be a worthy investment for any family. Typically, a parent’s immediate reaction to any new trend, gadget or toy is going to be concern over safety. While there is a possibility for something to go wrong in any scenario, you should feel assured that a hoverboard that meets international safety standards can be trusted to keep your child safe when it is used properly. Most newer models of hoverboards now include self-balancing technology, which helps keep the rider upright instead of losing their balance. 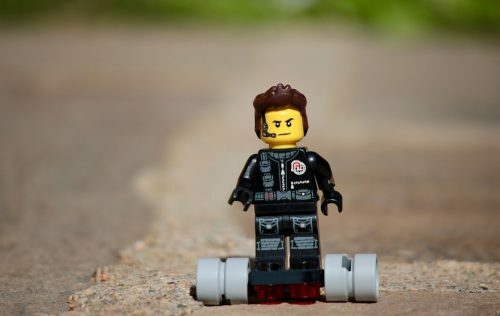 Hoverboards typically also only reach a maximum speed of 10-12 miles per hour, while skateboards, bicycles or rollerblades can reach much faster speeds. Hoverboards are a great way to get your child outside and in the fresh air. Parents who are always looking for new ways to get their kids away from the computer or television should consider investing in a hoverboard. While most boards are motorized, many kids will still feel encouraged to take it outside to play with, getting them out in the sunshine for at least a few hours. Don’t be surprised if neighborhood kids also come over to check out your child’s cool gadget! If your child has been asking for a hoverboard for a long period of time, there’s a strong chance that they’re very invested in the idea of having one. It may also be a financial investment for you to purchase one, and by giving one to your child, they can learn valuable lessons about taking care of their possessions. There are many lessons that can be taught to a child about keeping the board clean and in good condition, charging the batteries, riding it responsibly, and fixing it if it breaks. You can also use it as an opportunity to teach your kids how to earn something expensive by doing chores, babysitting, helping neighbors with odd jobs or more. While hoverboards may just seem like a passing trend, there are many great reasons to invest in one for your child. If you’d like more information about what hoverboards are, where to purchase a good one, and more visit us. Pingback: Hoverboards for Kids: Toy or Mode of Transportation?